I’d been thinking recently about the extra little things we keep around now that Zoe has glasses that have made our lives just a bit better. GeorgeB's tools: Top Left: Flat Nose Plier and Wide Jaws Angling Pliers purchased on EBay. Bottom Left: Mini Plier and Screwdriver, and a straight probe from my high school dissection kit. 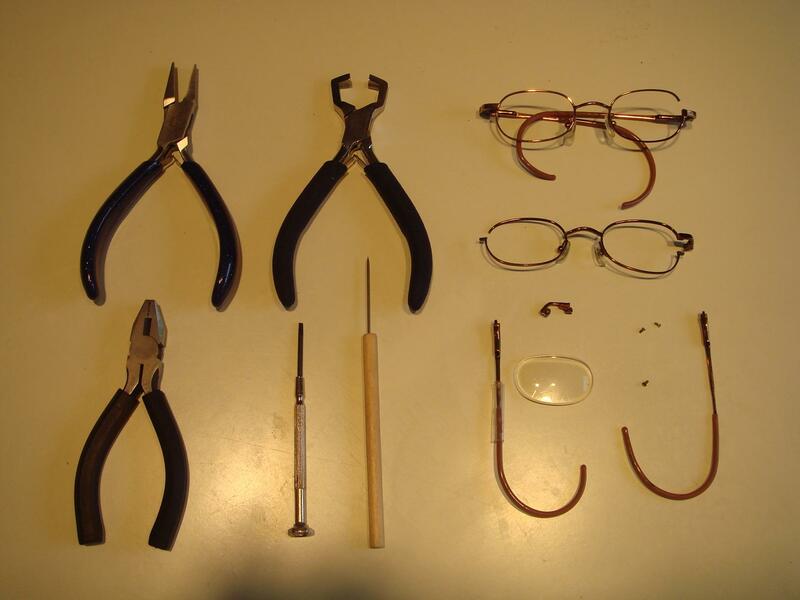 Right: The current miscellany of eye parts are pictured. You can see the break in the frames which is what we experience most often...due to the repetitive stress of straightening bent frames by hand. 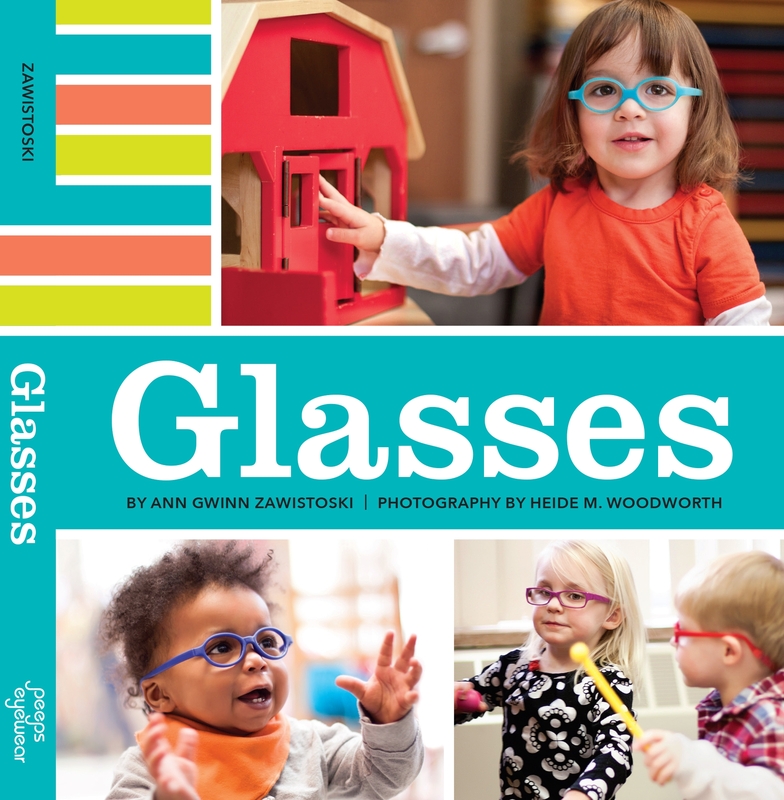 “… after many a face plant, an encounter with a coffee table, couple of invincible-two-year-old-leaps-of-faith…we’re now the proud owners of several pairs (or parts) of broken or otherwise beat up glasses. (not to mention spare lens or two). 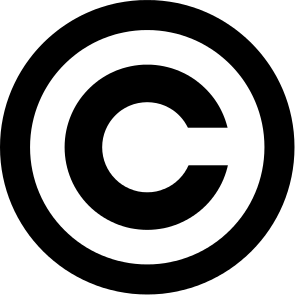 My suggestion…become your own optician…at least for those minor tweaks, bends, etc. When Zoe first got her glasses, we got 4 cases. One for each car, one for the house, and one for daycare. We don’t use any except the daycare one now, but they were nice back when the glasses came off a couple times an hour. 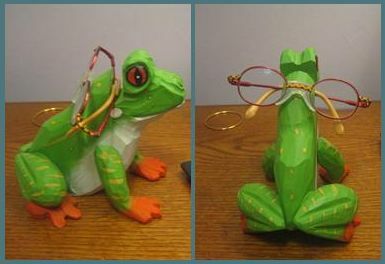 My parents picked up a cute frog glasses holder that we keep in Zoe’s room. She know that that’s where her glasses go, so they’re easy to find after naps and in the mornings. I keep thinking I should get something like that for myself since I can never find my glasses in the mornings. We recently bought a couple of big packs of microfiber cloths from the Target automotive department. Not only are they awesome for all sorts of cleaning around the house (I no longer hate cleaning the stove top), but I love having so many microfiber cloths around to grab whenever Zoe’s glasses need a wipe. Which is often. So what other items have you found helpful to have around the house? Our optician said to use sewing machine oil on the hinges/screws….. just a little drop every couple of months keeps them from rusting out. We live in a very humid climate and this has proven helpful. She also told us that cloth diapers are great for drying glasses, and we use Method hand soap to wash the lenses. We have had the problem of the metal on the arms of the glasses rusting a bit on the part that touches skin, and irritating Ellie’s face (again, thanks to humid climate). I go over the rusted part with several coats of clear nail polish…… stops the rusting, stops the irritation, and is invisible. I keep several spray bottles of lenses cleaner and cloths around. C is at the “feeding herself” stage now and messy fingers always end up touching the lenses! The suggestion about the cases is a good one. I never thought to get more than one case. Yeah, mealtime is still a pretty messy time for the glasses. Yogurt is especially bad – I’ve got a picture somewhere of her wearing glasses that are just fully covered with yogurt, I have no idea how she could see to eat.